SELECT Blog FROM Brad.Schulz CROSS APPLY SQL.Server(): T-SQL Tuesday #017: APPLY: It Slices! It Dices! It Does It All! T-SQL Tuesday #017: APPLY: It Slices! It Dices! It Does It All! 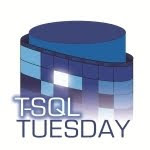 This blog entry is participating in T-SQL Tuesday #017, hosted this month by Matt Velic. You are invited to visit his blog and join the party and read more blogs participating in this month’s theme: APPLY Knowledge. I’ve been a fan of the APPLY operator since the beginning. That’s why it’s incorporated into the name of my blog. And I've blogged about its power about a dozen times. I don’t know how anyone lived without it before SQL2005. Practically everyone knows that you can use it to invoke table-valued functions. That is its most obvious usage and it’s about the only way you’ll see APPLY demonstrated in 97% of the books on SQL Server (if they even mention it at all). But, as you can see by the twinkle in APPLY’s eyes at the left (even behind the cool shades), he’s got other things up his sleeve. (Okay, the goofy pointed hat and the goatee are a little much, but hey, if you want great artwork, you’re in the wrong place… Michael J. Swart or Kendra Little are the masters of illustration). APPLY is capable of soooooo much more than just invoking TVF’s. It is incredibly versatile. It seems like it can do anything! Let’s take a look at what you can do! Yawn. Okay, so this is the most common way people use APPLY. Here’s a quick demo… For each Vista credit card expiring in Jun2008, let’s get the Contact information for that card using a built-in function in AdventureWorks. That’s very convenient, but kind of boring in the grand scheme of things. So let’s move on. Why even bother to create a function when you can just create a table on the fly via a correlated subquery with APPLY? For each store with a main office in Wisconsin, let’s look at the top 3 products (and their dollar amounts) that they bought in terms of dollars. Using the .nodes() function, coupled with the .value() and .query() functions, we can use APPLY to do some cool tricks with XML. As Miley Cyrus would say: That’s really cool. This is probably the best use of APPLY because it makes code so much more clear. Now isn’t that much clearer as to what’s going on? And it costs nothing at all! The query plans of both of the queries above are exactly the same! This is the part of APPLY that I really love. Let’s look at an example. Your job: Pull out only the rows that have the 4th number in the list less than 50 and sort the output by the 3rd number in the list. Easy, right? Ha ha ha ha ha ha ha hee hee hee hee hee hee ho ho ho ho haw haw giggle chuckle guffaw! See how I used APPLY to write a little program of a sort? First, I added commas to the end of the column to account for possibly missing numbers in the list. Then I calculated the position of the first comma in that string (p1). Then I calculated the position of the second comma (p2), and that can only be done by using the p1 position I calculated in the previous step. I continue on getting the position of the third and fourth comma. And now that I have those, I can pull out Num3 (from between the second and third comma) and Num4 (from between the third and fourth comma). And I can now use those values in my WHERE and ORDER BY clause. And the best part? NO COST! The above two queries are exactly the same as far as the optimizer is concerned. All those CROSS APPLYs are glommed together into a Compute Scalar operator, essentially coming up with really complicated expressions like you see in the first query. Take a look at the query plan yourself and you’ll see. Throw the UNPIVOT operator out the window… The optimizer really translates it into an APPLY operator under the hood anyway… and you can have control over NULLs and differing datatypes. Name                Cycles Wholesaler & Mfg. Can UNPIVOT do that? Not in a million years. It’s toast! Okay, this is really kind of a joke, but really, think about it… What is a JOIN? For each row in the first table, I want to JOIN it somehow with a row or rows in the second table. That sounds like an APPLY type of thing, doesn’t it? Well it is! The query plans for both of those are exactly the same! And LEFT JOINs can be replaced by OUTER APPLYs! Today UNPIVOTs and JOINs… Tomorrow the world! Bwu hu hu ha ha ha ha haaaaaaa (Diabolical laughter). For my final example, I’ll do ALL of the above (except for the JOIN replacement, which was just kind of a joke/trick anyway). In doing the examples above, my query cache got populated with the text and plans of the queries I executed. We will look in the cache for the CROSS APPLY(TOP 3) query that was in the Execute SubQueries! section above, shred its query plan, looking for the operators, figure out their percentage cost, and list them in descending order of that cost. For Scans and Seeks and Joins, we will show the table, column and/or index used. And it will be presented in a vertical manner. Note that the challenge here is finding the cost of each operator… it is not stored in the plan. Each operator has a Total Subtree Cost, but that is the cost of the operator itself PLUS the Subtree Costs of each of its immediate children operators. So for each operator, I had to find its children, total up their Subtree Costs and subtract that from the Subtree Cost of the operator to get the Individual Cost of the operator. This is done in the CROSS APPLY of the OperatorCosts CTE. Is that, like, waaaaay cool, or what?! I hope I’ve convinced you how powerful the APPLY operator can be. I couldn’t live without it. * I may host a lunch and learn based on this post. * Yes it's waaaaay cool. * Thanks for the illustrations plug. * I've been standing at the window poised to chuck UNPIVOT out for a while now. Thanks for the go ahead. * I appreciate the focus on query plans. Good job Brad, keep it up. Wow! Thanks, guys! Last week I had intended to just write a quick simple throwaway post for T-SQL Tuesday. But "simple throwaway" is not part of my nature, so as usually happens, I ended up really going for it. @Michael: Can you give more detail on the "lunch and learn"? Sounds interesting. @Michael: Oh gosh, you don't need my permission... present away! The whole "lunch and learn" concept sounds like fun! Great post Brad. I've already referenced it several times when thinking about using APPLY, have a feeling I'll come back to it a lot. Good work. Good examples which I can't think of !! is it unusual to see the power of Cross Apply without understanding all of the examples? I am making my way through these examples, but not without my mind being exceedingly stretched. Thanks for sharing an example of SQL mastery. Glad you found it all useful. And thanks for the update. Awesome post! Thank you so much for nice explanations and great examples!